If you’re in Berlin May 9th, I can only say: come, come come!! We’ve gathered some of our absolute favorite artists for a truly magical night as we celebrate Gliterbug’s new album Dust. Doors open at 19:00h // Concert begins at 19:30 SHARP! 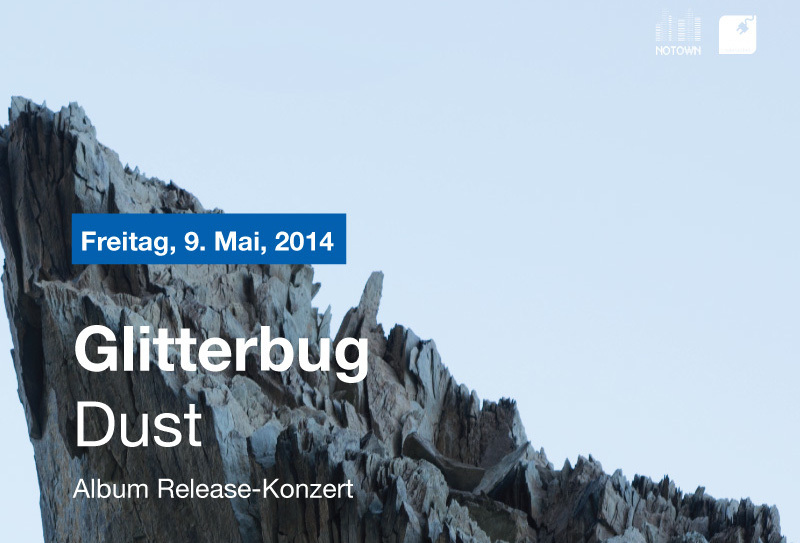 We are thrilled and terribly proud to announce the upcoming release of Glitterbug’s new album ‘Dust’ on Gold Panda‘s label NOTOWN Recordings. To celebrate the release and the premier of Glitterbug’s new live show, we have gathered some of our favorite artists, dear friends and incredible performers, all closely related to the c.sides imprint. 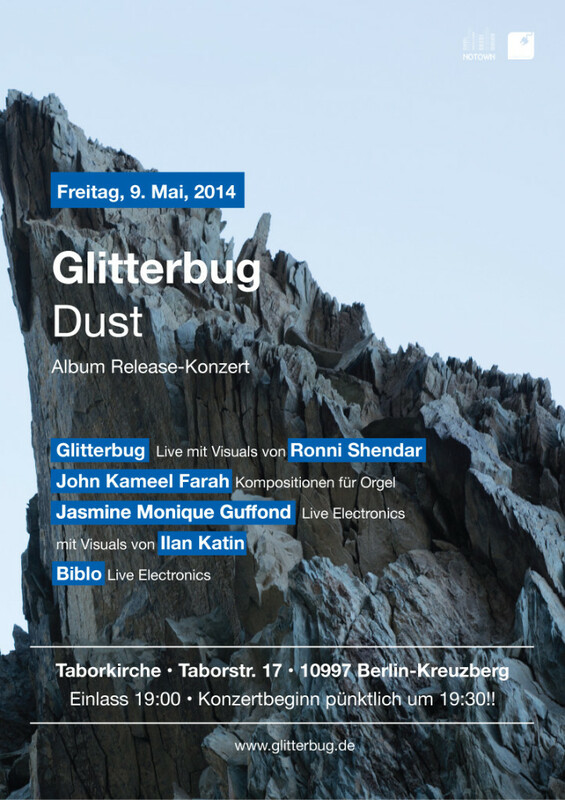 The concert will take place in a truly unique setting, the Tabor Church in Kreuzberg (Wrangelkiez), and is an opportunity to see Glitterbug in a concert setting for the first time in two years in Berlin. Glitterbug will be joined by his long term collaborator, Israeli visual artist Ronni Shendar (who created the album’s artwork). Ronni’s work has become an indivisible element of his performance; creating a cinematic, encompassing experience. John Kameel Farah is an internationally acclaimed Toronto/Berlin–based composer, pianist and visual artist. John will perform from his own compositions and improvisations on the Taborkirche organ. Jasmine, also known by many as Jasmina Machina, will perform new works especially composed and produced for c.sides Label (upcoming release late 2014). For this very special show, she will joined by visual artist Ilan Katin with whom she’s closely collaborated in live performances and installation work. Hailing from Istanbul/ Turkey, Biblo’s music could probably best be described as dark, raw, slightly industrial, slow techno-ish noise with (her own) vocals. Think Andy Stott, with added depth and emotion as deep as the sea. Biblo will release her next full length album on c.sides in late 2014 – this will be a great opportunity to get familiar with her unique sound (yes, we’re BIG fans!). 25 Apr This entry was written by Ronni Shendar, posted on April 25, 2014 at 1:12 am, filed under Performances, Photos, releases, Video and tagged graphic design. Bookmark the permalink. Follow any comments here with the RSS feed for this post. Both comments and trackbacks are currently closed.